Chaining colors into one beautiful crochet piece that transcends the beauty beyond is Evanescence. 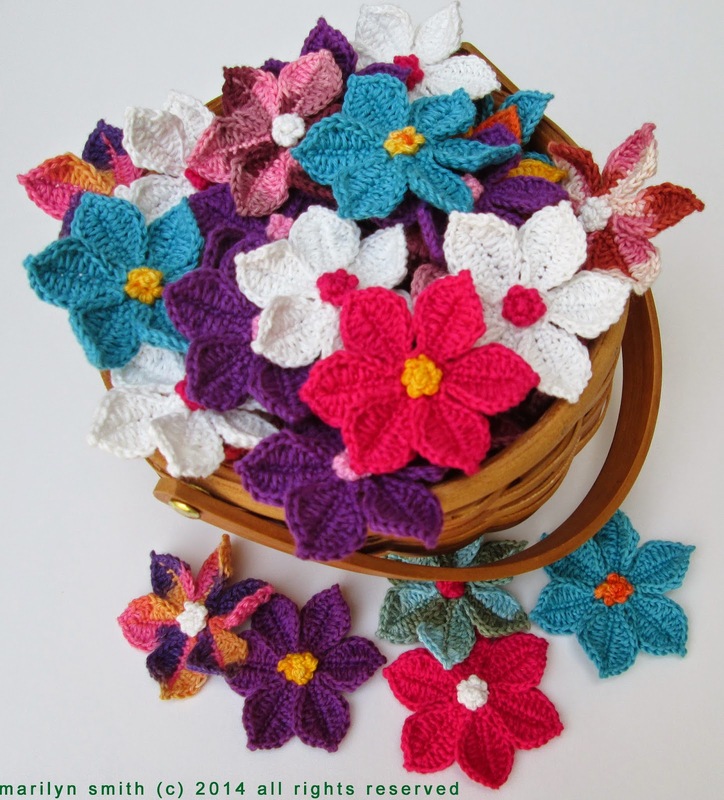 Flowers abound,now that it is Spring, some have names that I know of, some are not familiar at all, but then, they all look pretty and too adorable not to capture in crochet. 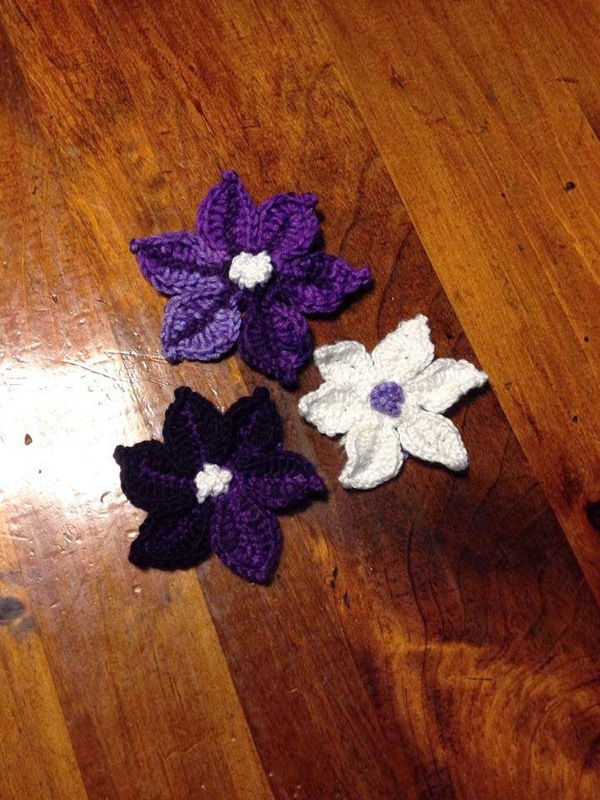 I know of the African violets, I know of purple zinia and anemone, and some purple primrose too,but some are too far different from the one I crocheted, will just call them flowers in the wild. They come out everywhere around this time, so dainty and vibrant! I enjoyed making them, that I couldn't stop until my little basket was full. I tried to think of other projects I can use them as is, so I came up with this little idea. So, that gives you the flower pattern as well as the ref magnet project. 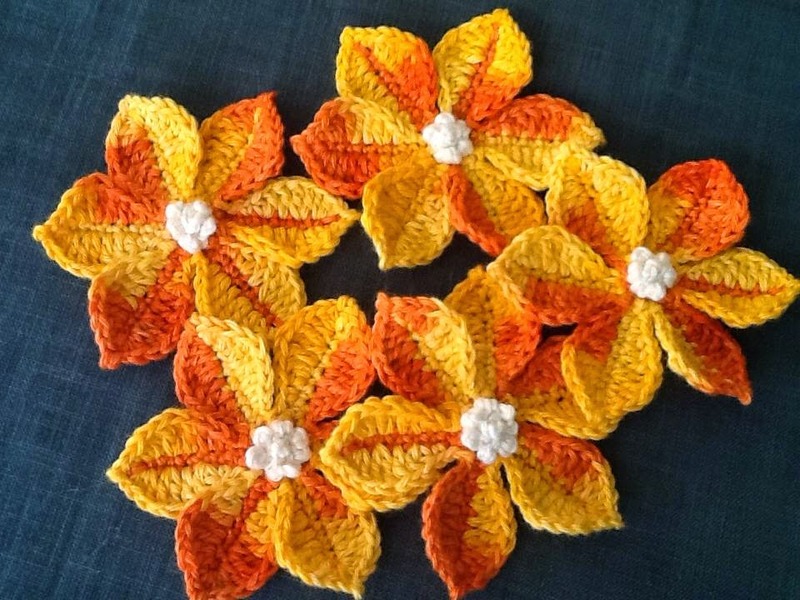 It is totally up to you how to use them, you may choose to add them on a dress, embellish them on a hat, or drape them in your blanket or afghan. So many possibilities! Note: Picot- CH 2, ss in first CH. 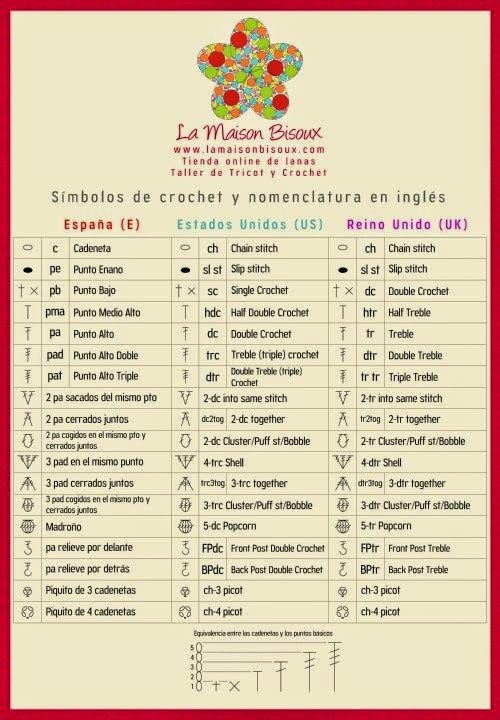 R2: **CH8, ss in 2nd CH from hook, SC in all the remaining stitch, ss at the base of CH, ss to the next stitch* Repeat **to* You will end with ss in the last stitch, and a ss in front of the first petal spine. (6 petal spines made). Work the center of your flower, use any color you desire or rely to element of contrast or harmony of color. Wrap the yarn around your hook, ** insert hook in the very center of the flower, pass through in front of the petal, yo, ss and picot* repeat until you have 5 picots. SS one more time and do standard picot (CH 3, ss in first chain) leave 4 inches tail, cut your yarn, thread the tail into your tapestry needle, sew it in the very center, through the bottom of the petal, secure and FO. To make these ref magnets, you will need tape magnets or small circular magnets, and permanent adhesive. (Be careful in using the Extreme Power Thick adhesive, it is skin bonding and eye irritant, use with care and away from small kids). 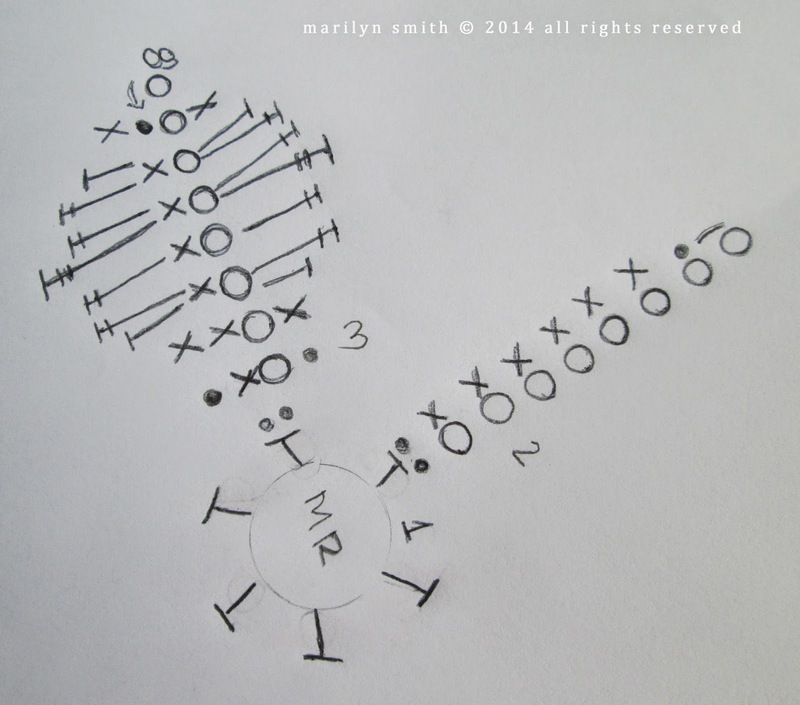 First, crochet a small circular piece for blocking: MR, CH 2, 9 HDC into ring, ss to close. CH1, SC in same place, 2 SC in all the stitches around, ss on CH1, and FO. Glue the blocking piece at the back of the flower, allow it to dry. Cut a small amount of your magnetic tape, and glue it on the blocking piece, allow to dry. Now, you have a flower ref magnet, make more to make your ref vibrant, or to sell in your next craft fair. R2: *Subir con 8 cadenas, pp en segunda cadena del gancho, pb en cada puntada, pp en la base de la cadena 8, pp en la siguiente puntada* y repetir de *a* 5 veces mas. (columna 6 petalos en todo). Terminar con pp en la ultima puntada, y pp en frente a la primera columna de petalo. R3: PP en la primera puntada, luego ponerlas en cada puntada; pb, pma y pa, pa, pad y pa, pa y pma, pb en la ultima puntada y piquito de 2 cadenas (punta). Repeta los puntos en orden inverso para completer el otro lado del petalo. PP en frenta de la proxima columna petalo y repita 5 veces mas para hacer los 6 petalos. Para trabajar el centro de su flor, utilizar cualquier color que desee, es posible que desee contar con el elemento de contraste y armonía o. Es todo depende de ti. Bueno, hacer esto; envuelva el hilo alrededor de su gancho, * inserte el gancho en el centro de la flor, pasar a través de en frente del pétalo, recoger hilo, punto pasado y piquito de 2 cadenas* repetir de *a* 5 veces mas, punto pasado una vez mas y piquito de 3 cadenas, cerrar. Dejar 4 pulgadas de la cola. Ahora, utilizar aguja de tapiz para coser la cola en el centro de la pétalo, a la parte inferior de la flor, fijarlo bien. Cortar la cola extra.